To be fair, part of the blame for audiences' underwhelming response lies with Disney, who for some reason decided to downplay some of the more fantastic elements of the movie in its marketing. Take the title, John Carter. Although based primarily on A Princess of Mars (1917)—part of a series of science fiction novels by Edgar Rice Burroughs (Tarzan)—the movie takes its name from its hero, a former Confederate soldier who ends up teleporting to Mars (Barsoom to its people). There, Carter becomes the messianic hero of the planet after he unites two warring races in battle against a third race that wishes to subjugate them. 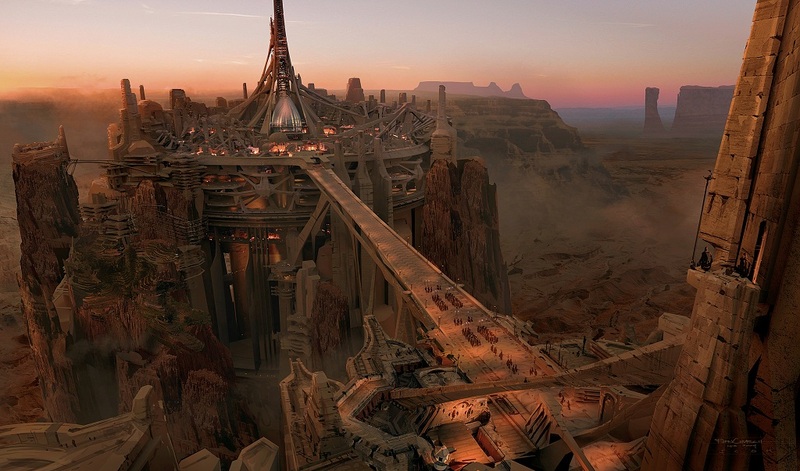 Though the book series was originally known as Barsoom, over the years, the property became known by a far more market-friendly name, John Carter of Mars. When you think about it, it's an evocative title because the disparate elements in it—the "John Carter" and the "Mars"—somewhat beg the question, Why is John Carter of Mars? Then there's our longtime fascination with our red, planetary neighbor. Not to mention that science fiction fantasy usually does well with the younger demographic movie studios always seek (plus the added bonus that this is likely a pre-sold property among men 35 years and older). So the title of the Disney should be a no-brainer, right? Wrong. Speculation as to why Disney changed the name to simply John Carter has ranged from a fear of audiences' pigeonholing it as just another sci-fi film to the fact that another of their movies with "Mars" in the title, Mars Needs Moms, was released to poor box office returns just last year. One thing's for certain. All other marketing aside, no one would figure out what this film is about just by reading its current title, John Carter. This is a marketing blunder on the same order of the one which buried one of Disney's largest pre-sold properties, Winnie the Pooh, when it was released last year. It's a shame, too, because John Carter, a throwback to the huge adventure epics of the DeMille era, transports viewers to a world one can only dream of. On the arid world of Barsoom, two red-skinned races live side-by-side with a race of green-skinned, four-armed warriors and giant, furry, white apes. There is little water, but great airships and their gleaming, majestic mother-cities populate the desert planet and its sky. John Carter (Taylor Kitsch), already an amazing combatant on Earth, benefits from the added advantage of Mars' lighter gravity, which allows him to take superhuman leaps tantamount to flight. 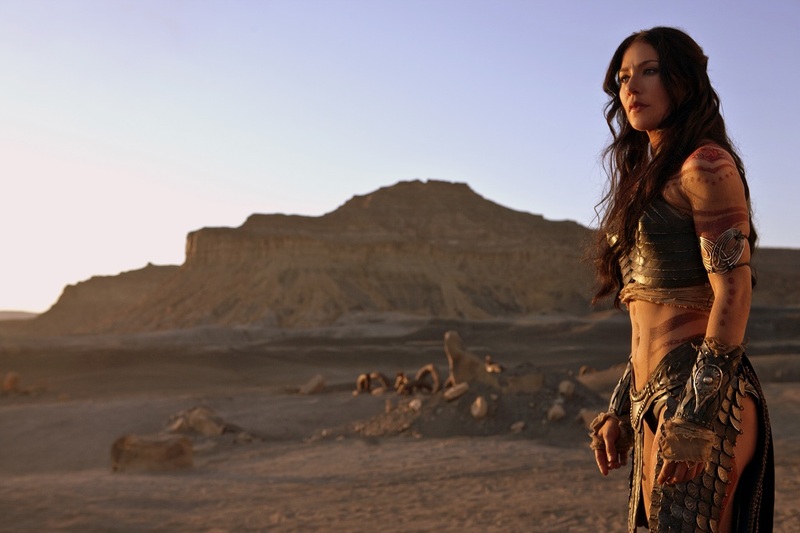 And Dejah Thoris (Lynn Collins), the princess who becomes his ally, is formidable in her own right, belying the scanty attire she often wears. Many of John Carter's details may strike movie audiences as derivative—Carter's fight with a giant ape in a gladiatorial arena (Star Wars - Episode II: Attack of the Clones), the princess being forced to marry a conqueror (Flash Gordon), the stranger in a strange land (Avatar and any number of other films). But in truth, these should serve as a reminder that Burrough's Barsoom stories predates all of these other science fiction fantasies and inspired their creators both directly and indirectly. Instead of running away from comparisons, director Andrew Stanton (Wall·E) embraces them. How much more self-aware can John Carter be than when it acknowledges a resemblance to 1984's Dune (also a bloated misfire at the box office), both textually and meta-textually? When Princess Dejah is first introduced, it is in closeup, looking directly at the camera and describing Barsoom in a monologue not unlike Virgina Madsen's at the start of Dune. But at least Stanton directs Collins to laugh at the pompousness of Dejah's speech. In contrast, Kitsch (X-Men Origins: Wolverine) is a brooder, but as the titular hero he is surprisingly ingratiating. Able to straddle both settings—19th-century Earth and futuristic Barsoom—with equal aplomb, the pretty-boy Kitsch is able to win our allegiance early on despite the limited range he is allowed to play in the story. He does his best Clint Eastwood in flashbacks to Carter's Outlaw Josey Wales-type backstory and... he doesn't get much of an opportunity to deviate from there. But he gets some great lyrical moments where Carter is allowed to display some of the inherent wonder in these fantasies, something often overlooked in movies of this scope. It's quite a laugh, the first time Carter wakes up on Barsoom and discovers the difficulty of staying grounded in such light gravity. And later, when Carter first lays eyes on one of Barsoom's flying ships, Kitsch reminds us that this astonished soldier is not a contemporary of ours but a man just as much out of time as out of place. All is not lost for John Carter or for you, discriminating viewer. The movie is playing well in overseas territories if only just adequately here. I am certain John Carter will be reassessed in the future when talk of its cost is but a distant memory. I saw it in IMAX 3D, and it was worth every penny of that expensive proposition. You've only got yourself to blame if you miss out on the opportunity to do the same. I'm dying to see it, it's just that it hasnt been released here in Puerto Rico. But it looks like good fun, derivative of other films yeah, but fun none the less. I mean the film cost 250 million, there's gotta be a spectacle hidden in there somewhere. Agree about the marketing blunder of the title. John Carter of Mars would have been more appropriate, I mean why hide away from something that will be so obvious once you get a glimpse at the trailers? This is obviously a science fiction film! But whatever...an even better titlte would have been Princess of Mars, but whatever, who knows what movie executives will be afraid of next? We're pretty much in agreement with this film. Well done review. "Curiously, someone like George Lucas gets a pass despite blatant attempts at cravenly bleeding his Star Wars franchise drier than a squeezed lemon for profits at the expense of its naive fans." Wait, what? Is this the same George Lucas who has long since become a pariah of pop-culture? He’s the last filmmaker on earth to receive any kind of free pass from critical or jaded fanbase fare. Having said that, the reason ‘box-office failure’ narratives were never built up against his films by media and such probably has something to do with the fact that said films were well marketed, made independently for less than half the budget of Avatar or John Carter or Green Lantern (a mere $115 million apiece for the Prequels) and, well, because they delivered commercially, because they turned a major profit. As for John Carter, I had some issues with the story -- particularly in the first act -- and a few other select choices that were made, but overall I enjoyed it. In fact, I think it far better than Avatar. Good review. Kitsch could have definitely been a little bit more charismatic but the flick still works due to amazing special effects and some really fun and exciting action. Sad thing is that this flick was made for $250 million and won’t make any of it back. Well, I saw this last night at a late show with my wife and two oldest sons ages 14 and 13. It's flawed for sure, but overall I must say I was exceedingly entertained, surprised by the good script and performances and fully immersed in the story. Sure DUNE is recalled, and there is indeptedness elsewhere, and we didn't need this in 3D, but it's still captivating and filled with awe-inspiring visuals. Even Michael Giacchino's score was nice. I lament the way Disney handled this and agree that it's reputation will rise in future years. As always, terrific review here. I loved it. I even bought Taylor Kitsch as John Carter, even though my image of the Warlord of Mars is more of an Adrian Paul type. I enjoyed the movie. I even reread the first three novels in the series before I went. It was exactly what it was supposed to be. I am reminded of Ishtar. When it came out in the 80s the critics panned it. Today I see the same critics call it an under appreciated classic. I sometimes wonder if ever they go back and reread what they written in the past.